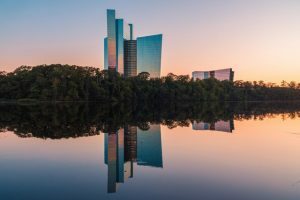 Uncasville, Connecticut (October 17, 2017) – Condé Nast Traveler today announced the results of its 30th annual Readers’ Choice Awards, with Mohegan Sun recognized as one of the top 30 resorts in New England. Known as one of the most trusted and respected sources of travel advice around the globe, Mohegan Sun’s inclusion in Condé Nast Traveler’s Readers’ Choice Awards is testament to the brand’s growing presence domestically and abroad, and boasts the all-encompassing resort as a major player in hospitality and entertainment worldwide. 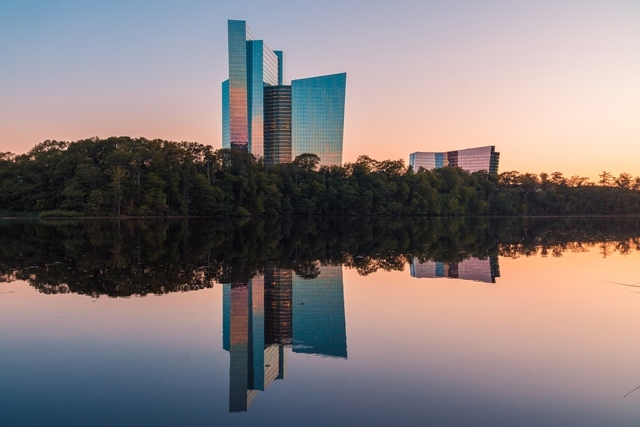 Since opening the doors to its flagship property in Connecticut in 1996, Mohegan Sun grew quickly into one of the Western hemisphere’s premier integrated resorts, delivering unforgettable experiences to more than nine million visitors each year. From dining and shopping, to professional sporting events and arena-sized performances, the brand’s commitment to provide new and exciting offerings translated into more than 45 dining restaurants, bars and lounges; a full retail shopping center; a lavish spa; an 18-hole golf course; and three high-energy entertainment venues. Not to mention, Mohegan Sun’s award-winning Arena first opened in 2001 and has since grown into the worlds highest grossing concert venue of its size, welcoming more than 10 million guests since the opening. To learn more about Mohegan Sun’s all-encompassing resort property in Uncasville, Connecticut and plan your next visit, go to MoheganSun.com or check out the brand’s Facebook, Twitter and Instagram pages. Owned by Mohegan Gaming & Entertainment, Mohegan Sun is one of the largest, most spectacular entertainment, gaming, dining, shopping and meeting destinations in the United States. Situated on 185 acres along the Thames River in scenic southeastern Connecticut, Mohegan Sun is home to three unique casinos, 1,600 deluxe hotel rooms, 2 world-class spas, a golf course, over 90 shops, restaurants and bars as well as three award-winning entertainment venues including a 10,000-seat Arena. Mohegan Sun is within easy access of New York, Boston, Hartford and Providence and located 15 minutes from the museums, antique shops and waterfront of Mystic Country. More information is available by calling 1.888.226.7711 or visiting mohegansun.com. Connect with us on Facebook, follow us on Twitter and Instagram @mohegansun, view us on YouTube and find us on Snapchat at username MoheganSun. As the most discerning, up-to-the-minute voice in all things travel, Condé Nast Traveler is the global citizen’s bible and muse, offering both inspiration and vital intel. Condé Nast Traveler is the most trusted and celebrated name in travel with 6 National Magazine Award wins and 26 nominations in its 28-year history. Advertising Age named Pilar Guzmán Editor of the Year in 2014 and CNTraveler.com attained 4 Webby Awards since 2015. www.cntraveler.com.